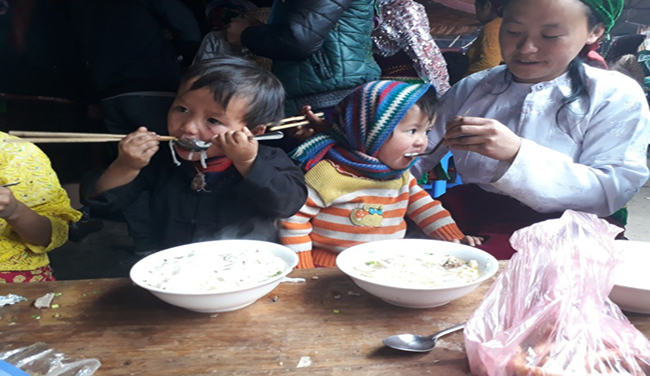 Published: 02:48 Tuesday - April 18, 2017 Arriving in Dong Van, tourists will have the chance to admire the majestic beauty of rolling mountains and forests as well as to learn more about the daily life of Dong Van residents. Dong Van is the second most Northerly town of Vietnam after Lung Cu, located in the outrageously beautiful, rugged and mountainous Province of Ha Giang. The Dong Van market is one of the most popular visiting sites for tourists. 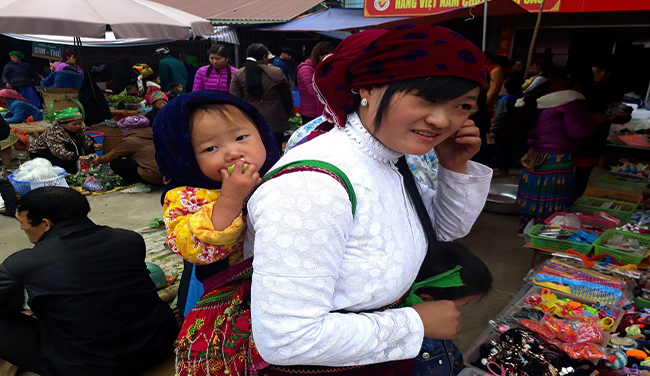 The market is renowned for it’s cultural diversity but extremely difficult to access for the regular tourist or backpacker due to its steep, long, time consuming hair pin roads.Dong Van market beckons ethnic groups living roughly within a 25km radius of the town. This primarily consists of White Hmong, Black Dao and Tay people living high and secluded up in the mountains. Each group of people eagerly travel to the market, with pedestrians carrying baskets of vegetables, fruits, chicken cages, bird cages, buffaloes, cows, and those on bicycles and motorbikes transporting bundles of goods or small pigs. Others are dressed in colourful ethnic costumes and come to the market from hamlets far away just for fun and entertainment. 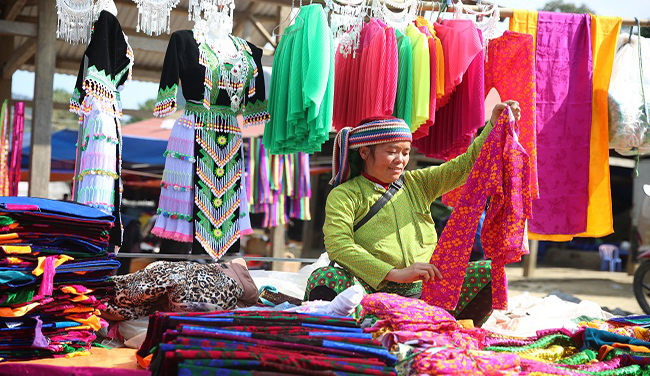 By either walking, biking and busing, Hmong girls and boys, young and old all gather at the market every Sunday for socializing, selling and showing off. Hoards of female friends huddled together patrol the aisles arm in arm decorated like a cross between a christmas tree and Secret Garden Party’s best in show. 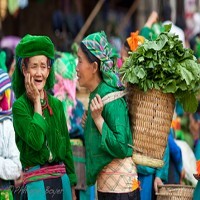 The White Hmong who popularize this area are not like the handmade maidens of their fellow constituents the Flower Hmong of Bac Ha market, Black Hmong of Sapa or Red Hmong from Pa Co and Dien Bien Phu. No, they are the tribal version of Primarni fast fashion, high impact, quick turn around kinda gals who prefer to spend their spare time sparkling in the sun, not cross stitching and sewing on a Sunday. Life’s too short for some. The increasing number of tourists to the market, result in a more bustling atmosphere. 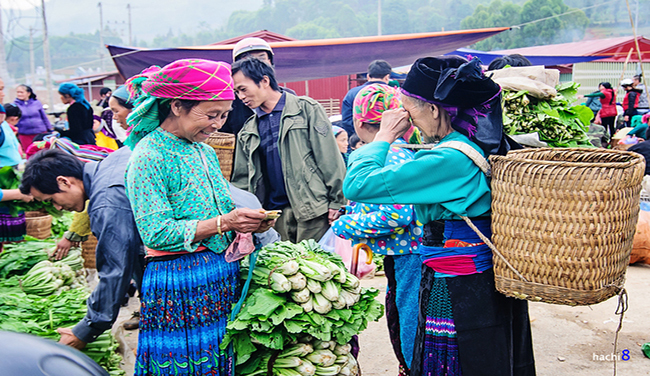 Right from the market gate, sellers and buyers talk with each other in the languages of each ethnic group. Like other upland markets, Dong Van market also serves unique food dishes of ethnic minority people, such as buckwheat cakes and corn wine. A big buckwheat cake or corn cake is sold at VND10,000 (just below half a US dollar). Home-made wine is also indispensable at the market. A 20 litre barrel of wine is sold at VND200,000 (US$8.8). Guests can feel free to try the product before deciding whether to buy or not.